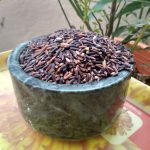 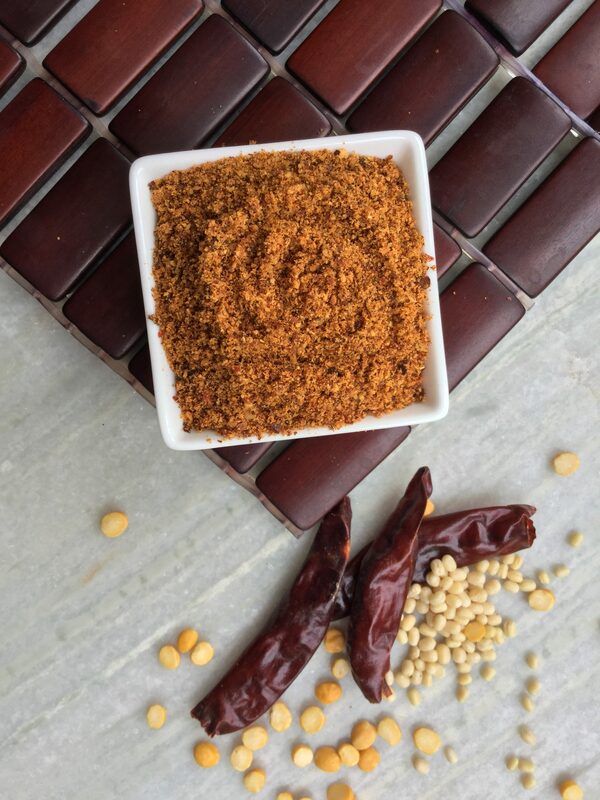 Curry powder recipe: Few of my recipes call the need of this special home curry powder which we personally at home call Methi podi. 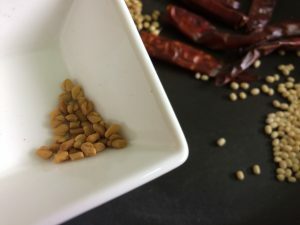 Well menthi(fenugreek) isnt the main ingredient and still I am not very much aware why it is called so. 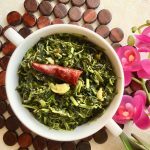 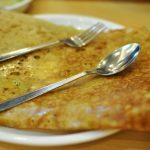 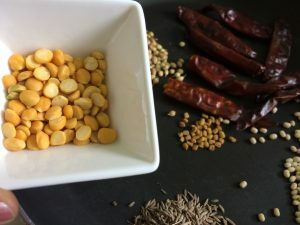 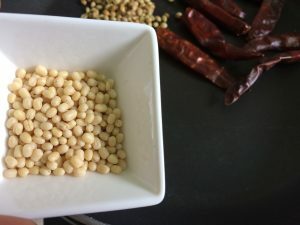 However, the following curry powder is used to enhance the taste of all leafy veg dals, Curries, mukkala pulusu ( stew made of vegetables), curries such as Tamarind potato recipe and besan ki sabzi that we usually accompany with poori or roti. 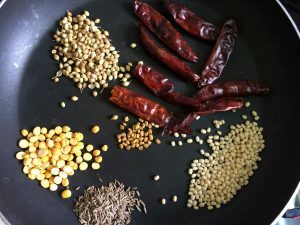 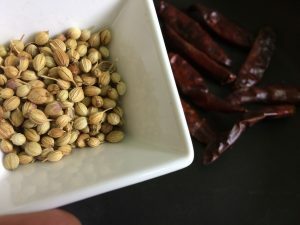 So, let’s take a look at How to make curry powder. 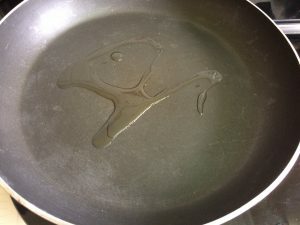 Take a pan and heat some oil. 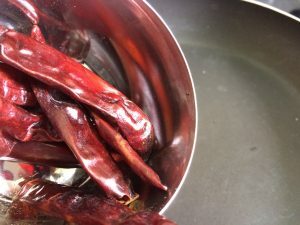 To the pan add 15or ( handful) of dry red chilis. 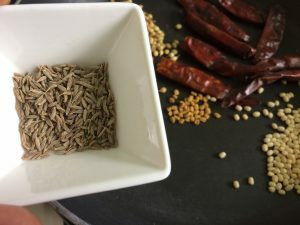 Add coriander seeds, urad dal, fenugreek seeds, cumin seeds and chana dal to the pan and roast till aromatic. 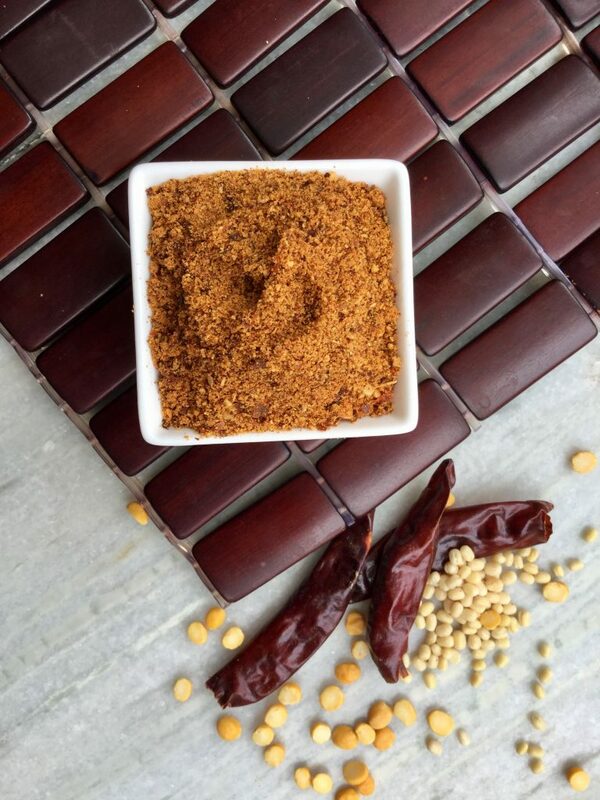 Once the ingredients turn nice and brown, take off the heat, let cool and blend into a fine powder. 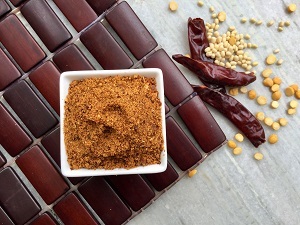 The curry powder is now ready and can be used to make many tasty dishes.